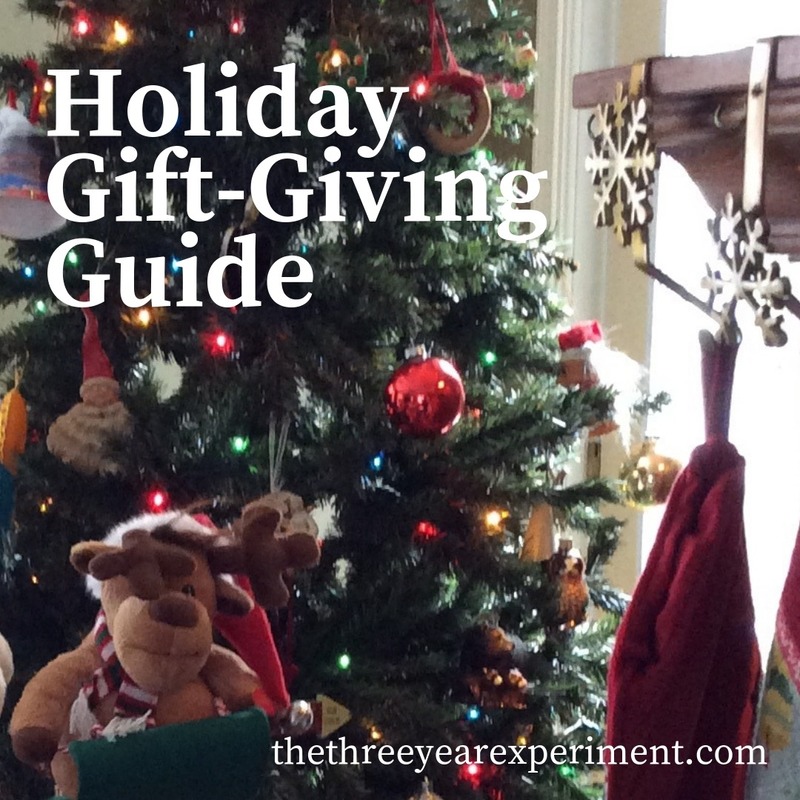 All gifts come in under $20, to boot! Of course I had to start off with my favorite local artisan, Kerri, who happens to be my sister. Kerri runs a very successful (top 1%) Etsy shop, making handmade leather watch bands, purses, dog collars, and more. They also have their own website. 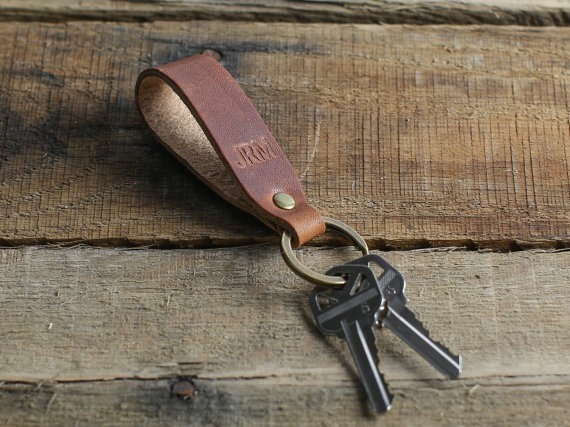 Her leather keychains not only make a beautiful gift, they’re $12!! !, will last forever (trust me, I know), and only get more beautiful as they age. They can also be customized with the recipient’s initials. Order quickly, though, because she’s closing up shop early to hang out with me at Christmas! These are the best socks out there, IMHO. Plus they keep your feet so warm. Darn Tough has socks for women, men, and kids. I love these for men. I actually have a pair, because they were too small for Mr. ThreeYear (so buy a size bigger than you think you need). They are a medium weight, so they can be worn throughout the year. If you get Charcoal, they can be worn with athletic clothes, for hiking, or at the office. And they will last and last, or Darn Tough will replace them. 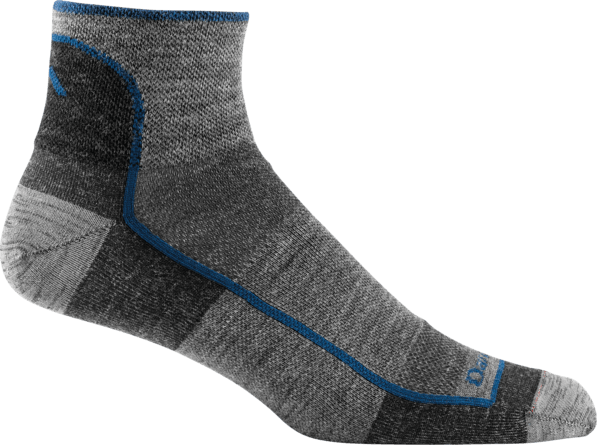 Darn Tough 1/4 Sock Light (in Charcoal), $16. 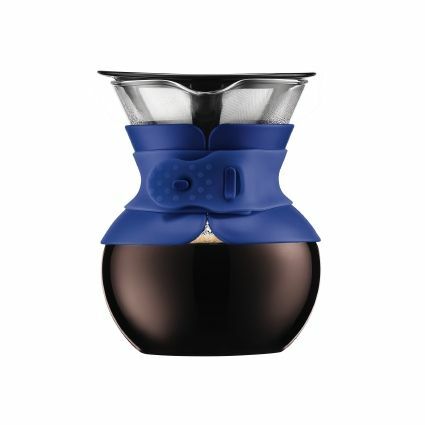 This is one I haven’t personally bought and tested, but I love stuff from Bodum. We’ve thought about a pour-over coffee maker before, but we drink so much coffee, we never went for it. However, pour-over brewers make a highly superior cup of coffee, I’m told, and this model comes in at a very reasonable price. It’s diminutive, at .5L, but gets the job done for a cup! I found a Paperwhite bulb in a glass vase at Aldi for $2.99. It is a beautiful addition to our dinner table. Plus it’s easy to grow, always important in my house. If you don’t have an Aldi near you, here’s a similar item on Amazon, only it costs $12.99 and it’s a hyacinth bulb. Still a good price for a beautiful gift. (Or Aldi, if you have one near, $2.99). You can’t beat these long-lasting, well-made beauties. Plus they keep your feet so warm! Darn Tough has socks for women, men, and kids. I particularly like the fun pattern of these “Strot Shorties.” They are also a medium weight, so they can be worn throughout the year. And they will last and last, or Darn Tough will replace them. 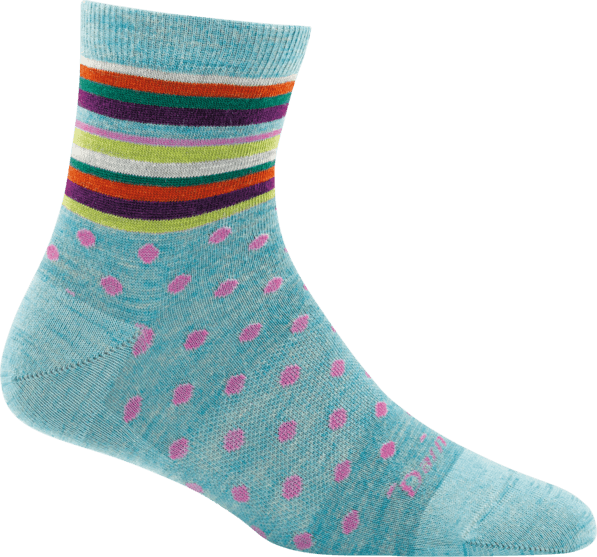 Darn Tough Strot Shorty Light socks, $17. My friend gave me this candle when she came to visit and it smells SO good! Plus it’s beautiful to look at, too. It’s a clean-burning candle and the French Cade and Lavender smells flowery and just, good. They have a bunch of scents to choose from, though. 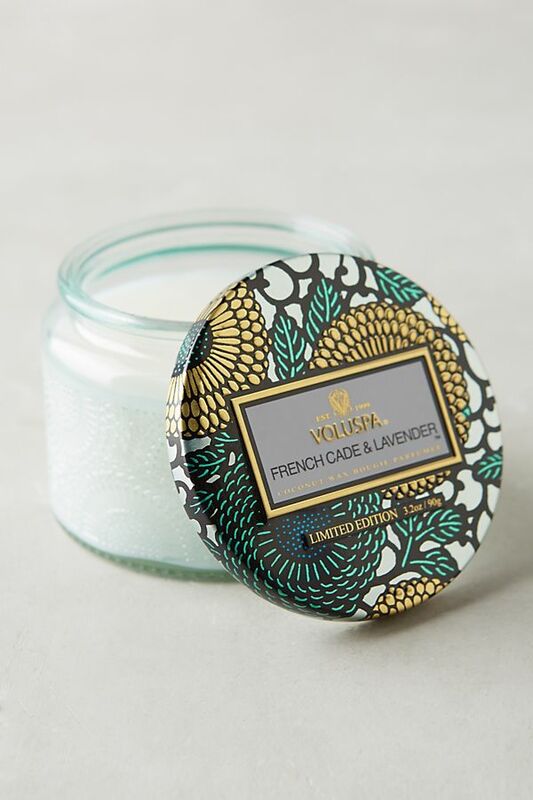 Voluspa French Cade and Lavender candle, Anthropologie, $10. There’s also a guide in the back for adults about how to continue teaching your kids how to manage money. This is a topic near and dear to my heart. 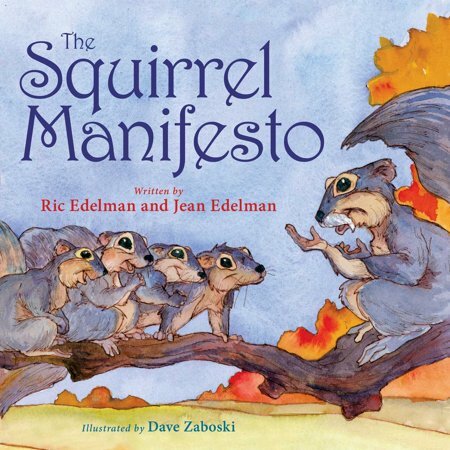 The Squirrel Manifesto, currently $10.99 at Amazon. This putty was originally created by a guy named Aaron (surprise) for his autistic son. His son needed to take something to class to manipulate in his hands, but it couldn’t make noise, light up, or otherwise distract anyone. Turns out, all kids love having stuff to manipulate, so Crazy Aaron’s putty took off. It’s made in the USA and Aaron employs people with special needs in his factory, which I love. This particular type glows under black light for extra coolness. Comes with a black light keychain, too. Crazy Aaron’s Thinking Putty, Amazon, $14.95. When I was little, I had a pillowcase that my friends all autographed when they came over for sleepovers. I still have it. Here’s an updated version for little world travelers. Kids can color in all the countries that they’ve visited, want to visit, or have learned about. Best part? The markers are washable so they can do it again and again. 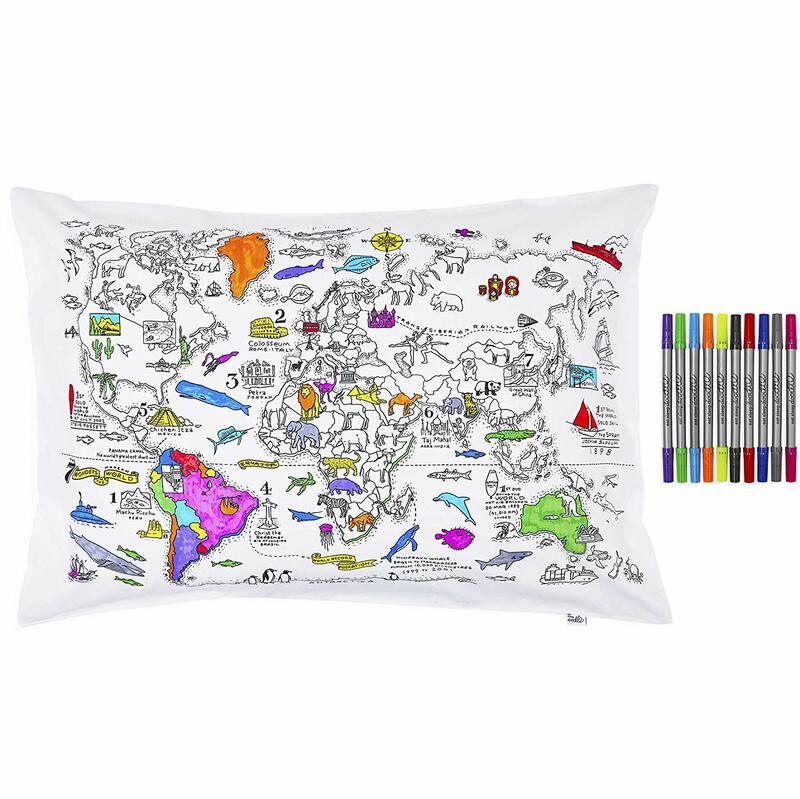 Color Your Own Map Pillowcase, Amazon, $19.95. Little ThreeYear: You want to avoid debt. LTY: Well, it’s like you borrow $100 from a shark. (??!!!). And then, it’s time to pay him back. And if you don’t pay him back, he’ll sue you. And you’ll have to pay the $100 back. So Little ThreeYear obviously needs to read this great book, that explains earning, saving, and investing in detail, and talks about the long road to wealth. Junior ThreeYear has read and re-read it, and he’s now really comprehending the basics of creating wealth. I highly recommend this one, but it’s best for kids above 10 or so. 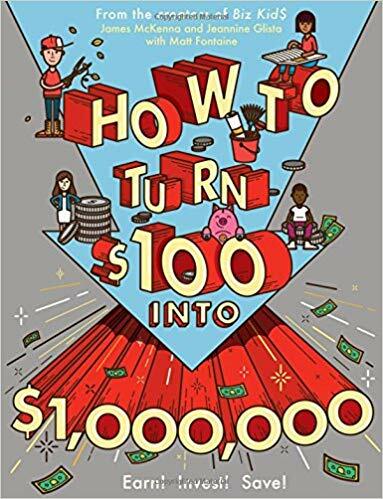 How to Turn $100 into $1,000,000: Earn, Save, Invest Book, Amazon: $9.06. I actually bought this book for Junior ThreeYear for Christmas, then found out he was reading it with his class! I first heard about this book from a sixth grade teacher I worked with last year, and wow–what a story. It’s the inter-woven true stories of two young people from Sudan, one from 1985, a refugee who’s lost everything, and the other from 2008, who must walk hours each day to collect water for her family. Their stories eventually overlap in a very cool way. 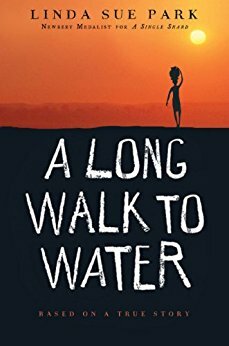 A Long Walk to Water book, Amazon, $6.59. This maze game is hard to put down. There is a little metal ball inside, and you need to twist and turn the plastic ball to manipulate the ball through the maze. My boys have this game and they play with it a lot. 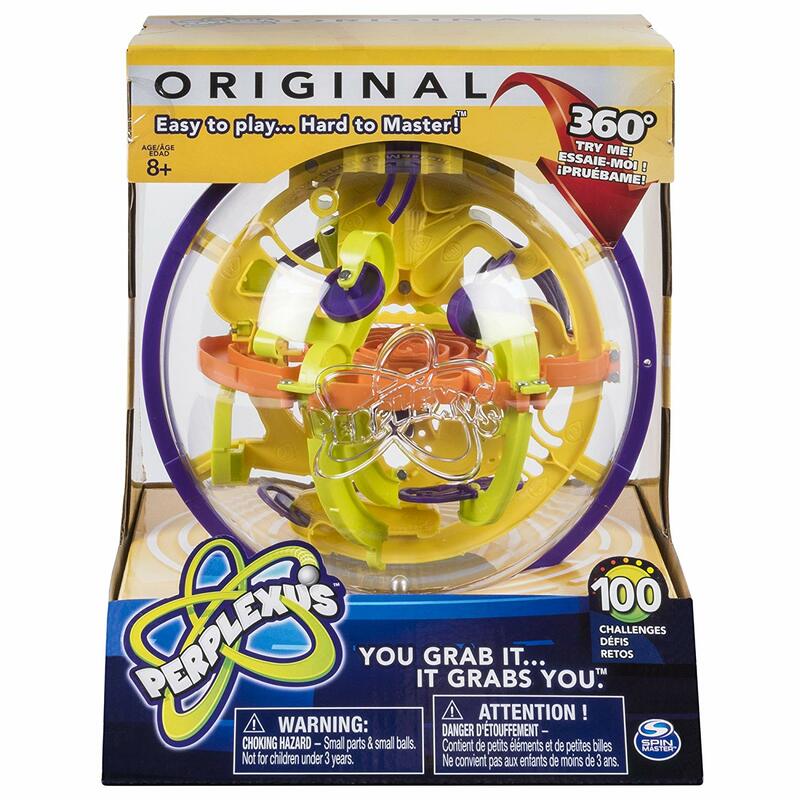 Perplexus Maze Game, Amazon, $16.98. ONE gift that’s awesome and I highly recommend, but that costs just a bit over $20 ($25), is the new Simple Money Magazine. It’s a digital magazine, and a lifetime subscription costs just $25. It’s filled with articles about simplifying your money and your finances, and keeping the things that should really matter first and forefront. Check out my review here. And if you want to read a fun (okay, maybe not fun…) post about our Christmas travel misadventures, check out the post I wrote for GoBankingRates this month. Yep…second the recommendation for Darn Tough socks. Have used them for hiking and casual wear. Good call. Thanks. I’m a big fan. It’s when you borrow money from a shark…he’s not wrong! Glad to hear they like the book. My boys enjoyed it too. 🙂 That’s what I thought too! Yep–that book gets a lot of traction our house! My dad would love that pour over coffee maker. 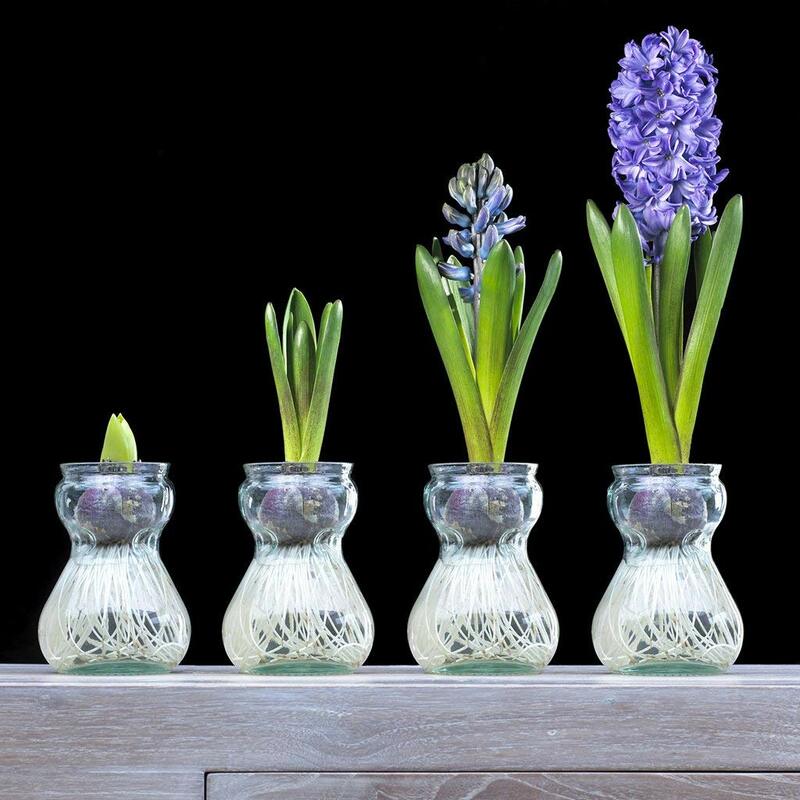 My daughter would love BLOOMING BULB! Their colors are very beautiful. The price is also in my reach. Cool! We really loved ours and it lasted a long time!